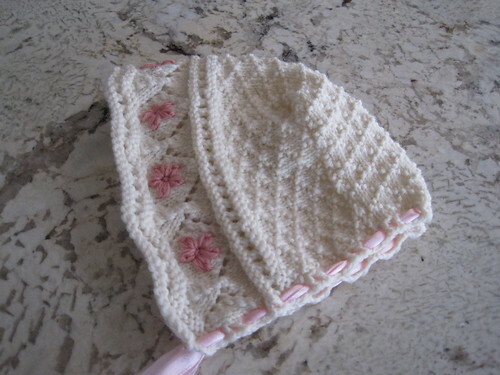 And because Marseille is one of my closest friends, here’s another post bragging about her talent and showing one of her knitting projects. 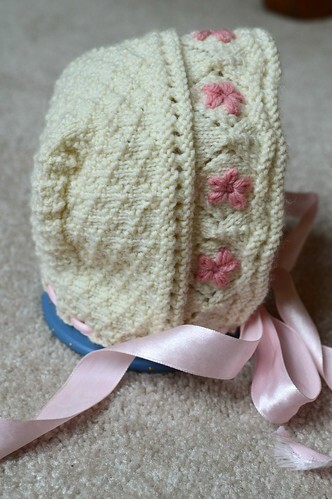 Today’s post is about an exquisite Baptismal Hat as Marseille explained was “made for my tiny niece, to keep her little head warm going to and from her baptism.” It was knit in size 3–6 months. 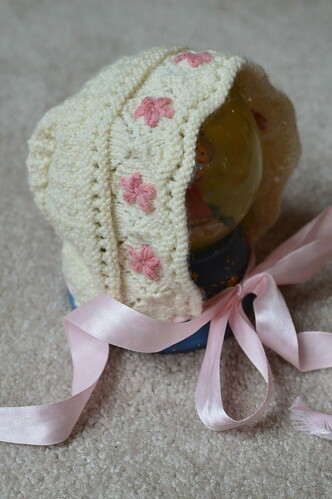 The pattern Marseille used was 15505 Romper – Blessing-Christening Outfit by Dale Design from Dale of Norway / Dalegarn #155. 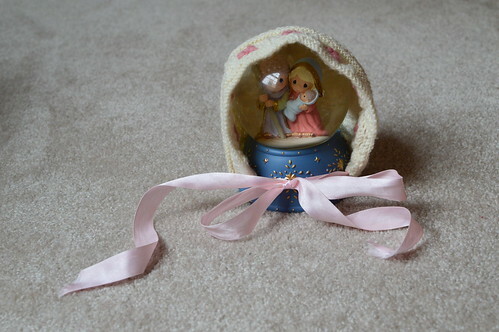 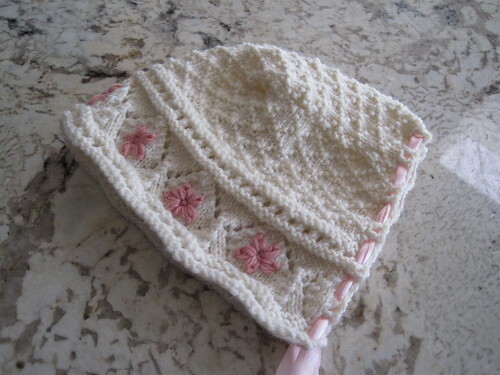 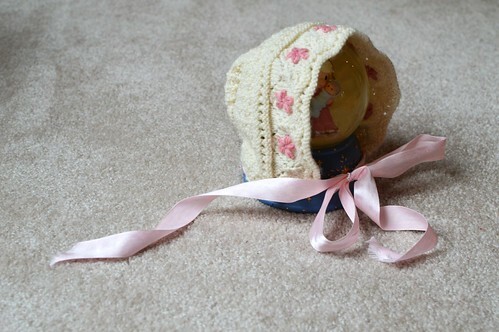 She knit it up with less than a skein of Dale Garn Baby Ull in creamy off-white with pink scraps for the detailing. 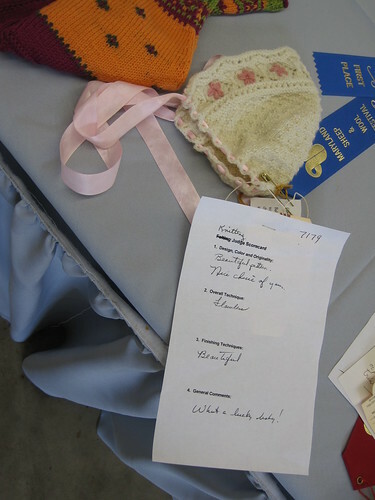 This entry was posted in Knit Hats & Gloves, Knitting for Babies & Kids and tagged Marseille.